top part can be separated from lower part. Construct is simple and easy repairing. After turn off connecting bolts, it is easy to change driving head and valve disc. 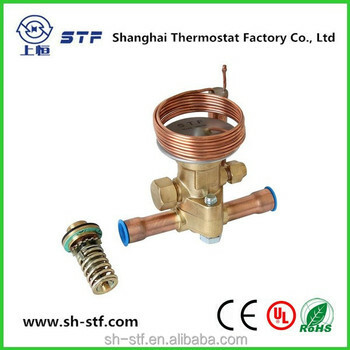 Factory setting:superheat 3.4°C, Static superheat adjusting range is between 2°C-8°C. Turn adjusting stem anticlockwise one round,reduces superheat 0.3°C.